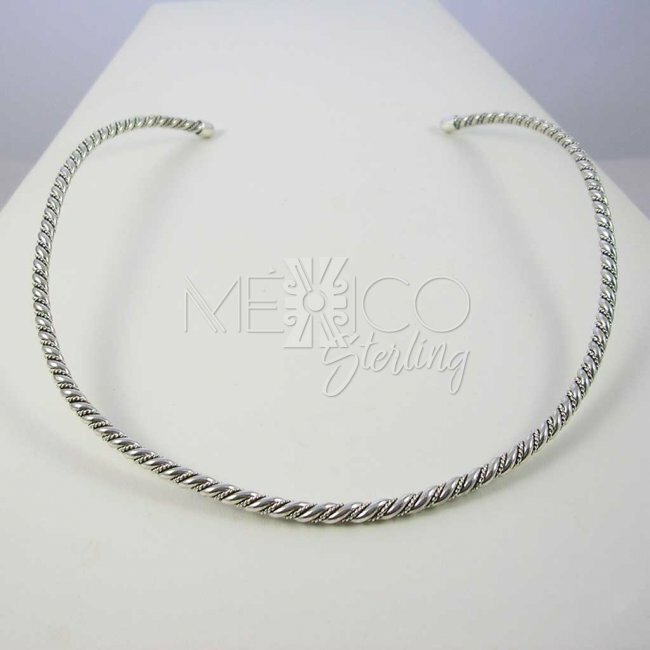 Silver Braids Taxco Choker [CHK3205] - $98.00 : Mexico Sterling Silver Jewelry, Proundly from Mexico to the world. 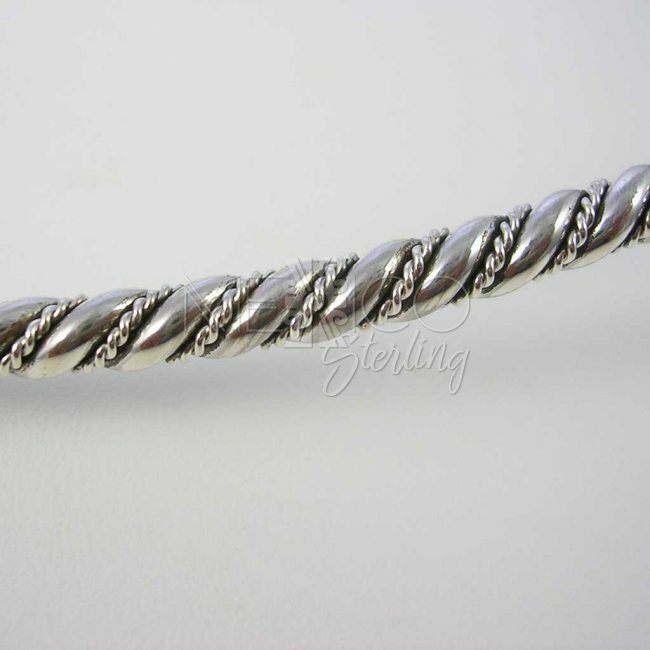 Dimensions: W: a little over 1/8" Inside Circumference: 16 1/2"
This is a very beautiful piece that carries an amazing braided work, a nice combination between a flat wavy line, and a smaller twisted wavy line that goes all the way around, weaving a nice pattern that enhances the whole design enormously. 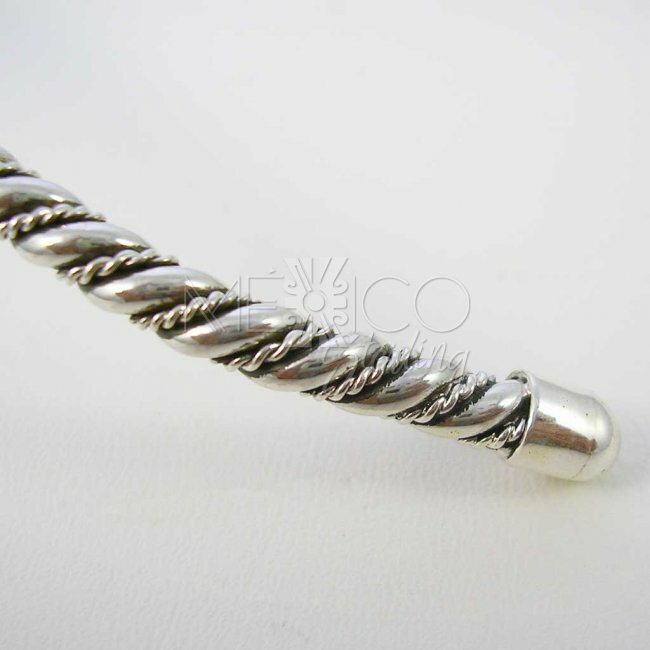 It is also a handmade piece, crafted with a sturdy built but flexible as well, not rigid, making it easy to adjust better. 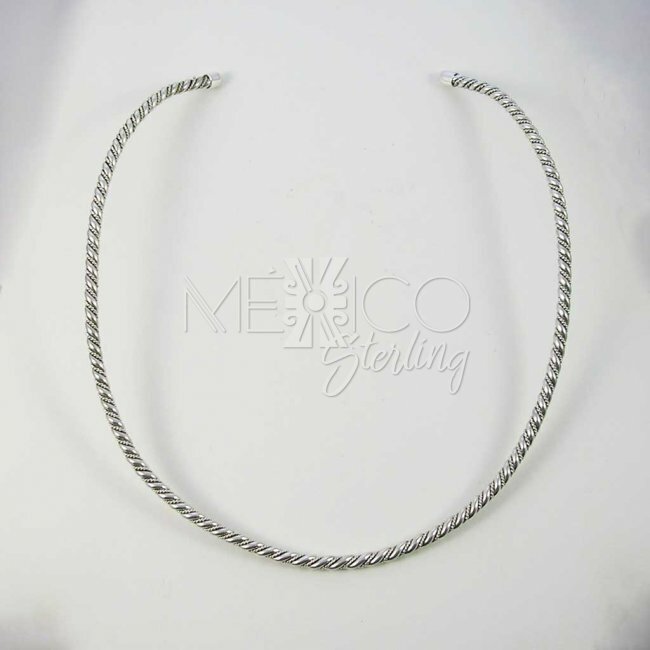 It is substantial in weight, elongated to look more like a silver chain or necklace. 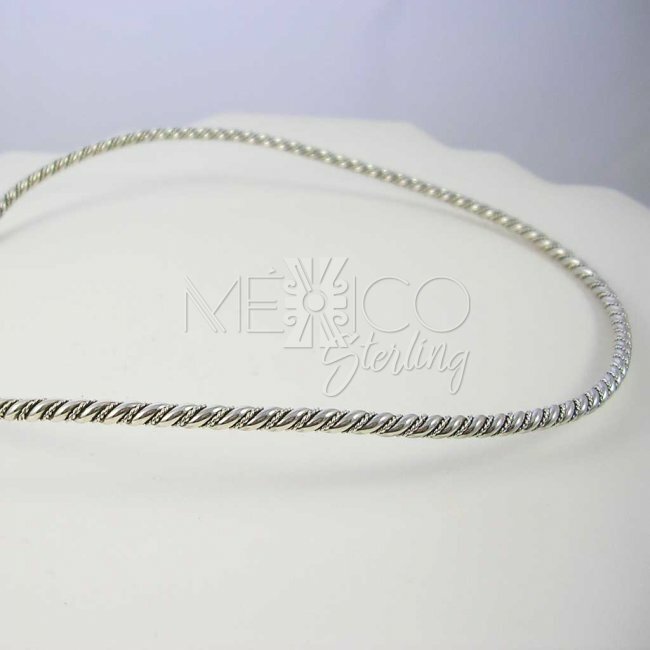 Please take a look at the additional photos for more details on this nice piece of jewelry.